Social media is one of the best platforms for promoting your business, creating a brand image and generating huge traffic. To be successful in your business using social media, first you must investigate where the most of visitors spend time, on which sites they regularly browse. After getting the details try to use those sites to engage the audience and build a relationship by communicating with them. To make a platform for your business in social media you need to actively participate and engage with communities, which will build a new customer base by sharing and liking. Spread your business like air and make your presence everywhere. Set your business objectives and track the progress using various metrics. 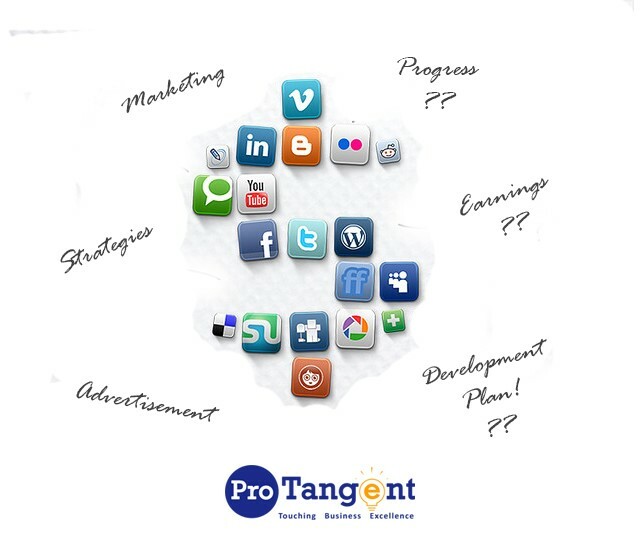 [p2p type=”slug” value=”tips-on-how-social-media-can-help-your-business”]Social media[/p2p] can be used to accomplish all your business goals and objectives. Measure your strategies using success metrics. First, analyze your audience and interact accordingly. Create a channel plan and go accordingly as each social media has a different group of audience. Always update your strategy as per the requirement if possible, adjust as per the demand. Attach your website URL to your post: The visitors can be redirected to your webpage for more information, which increases your website traffic, followers and sales. Embrace Mishaps: Try to avoid mistakes, if done correct it as soon as possible. If any product mis-delivered or refunding the payment do it as soon as possible. Go beyond the customer support: Communication plays vital role in social media, reply to the comments and communicate with readers. Integrate with other digital assets: The profiles should be interlinked with their social media plugins, websites, email accounts and their paid search advertising campaigns. Interact regularly with followers: Customers expect response and interaction to their activities in social media to further proceed and get trust. Customers feel more connected to the product or your posts when they get a response to their comments. Be active on Google plus: Google is directly interlinked with the google search engine and it makes the profiles an integral part of [p2p type=”slug” value=”top-on-site-seo-strategies-to-raise-your-rankings”]SEO[/p2p] optimization. Use hashtags: Hash tags facilitate the visitors to filter your post from the crowd. Track and talk to your customers: Tracking your campaign will help you improve and interacting with clients and sale steam will provide additional information to improve your business. Treat each channel as an entity: Each social media platform is unique and its audience. Plan your campaigns as per the social media platform on which you post your content. Use a consistent tone in your articles: Use professional tone al through the article and don’t criticize other brands. Utilize images with the right size: The images should be compatible enough when they are zoomed or used on mobile. Post in Directories and Communities: to engage more people and get more conversions, post your article in directories and communities. Including descriptions, or prices: Provide the best information about the product so that the visitor gets the complete details about it at a glance. Using active images: Use images which give the product usage description instead of static images. Linking to your product page: Make the navigation easy for visitors to go through your website for purchase. Providing content according to users demand: Design content according to the media you choose to post your description and have a clear idea of the audience choice. Competitor analysis: This will provide you details about their industrial resources and traffic sources. Run contests, offers or programs: To encourage the visitors run contents, quiz, puzzles and many more to create interest on your posts. The social networks mostly dwell with huge content sharing, liking, discussing and lot more. It is a tool using which you build your business so handle all the post carefully as they attract the search signals and make your existence. The [p2p type=”slug” value=”how-to-optimize-images-for-the-search-engines”]search engines[/p2p] are striving for their best to provide most legitimate, unique and informative article, so make unique and informative articles. If you fail to satisfy the searchers requirement, then it’s a threat to your business. Attractive titles and high resolution images have turned many audiences towards the social media and which is one of the big resource, which many competitors are following to expand their business and brand image. You need to interact with as many as possible to expand your customer base. Making your social media presence is very easy, but a community is much more difficult. Social media has great power using which you can reach your potential customer, engage fans and various methods to create your identity. Follow the above strategies to make more out of SMM and improve your sales. Always update your work and monitor the progress for further improvement. Which Form of Malware is the Most Dangerous? I’m up for being in a particular field, your information will go to the Internet. Because this method is very simple and reliable. Many thanks for sharing the wonderful article. I truly believe that integration of social media to your SEO campaign is really essential to establish the trust of users to your brand.